Both my husband, Seth and I are huge Game of Thrones fans. Now that season four is all wrapped up, we feel the familiar emptiness of waiting for the next season to begin. This time however, we have a little something to look forward to that may help the time go by faster: Texas Renaissance Festival. 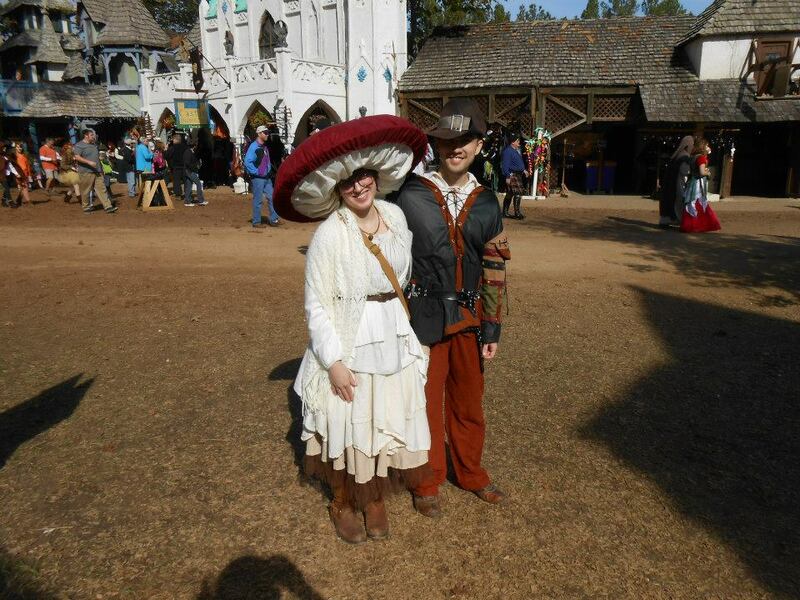 One of the benefits of living in Houston is being so close to the Texas Renaissance Festival every fall. We went twice last year, including our first time in costume. I was a mushroom, and Seth rented a costume. He couldn't decide what he wanted to be in time (and my sewing skills weren't that strong), and was a bit bummed to have to rent his outfit. We decided to get an early start next year so we could both go in cool costumes. We were interested in going as characters from Game of Thrones, but daunted by the complexity of the costumes. Armor? Yikes! Jon Snow? Too hot for Texas! Thankfully Seth got a new favorite character this season with a much more manageable costume. 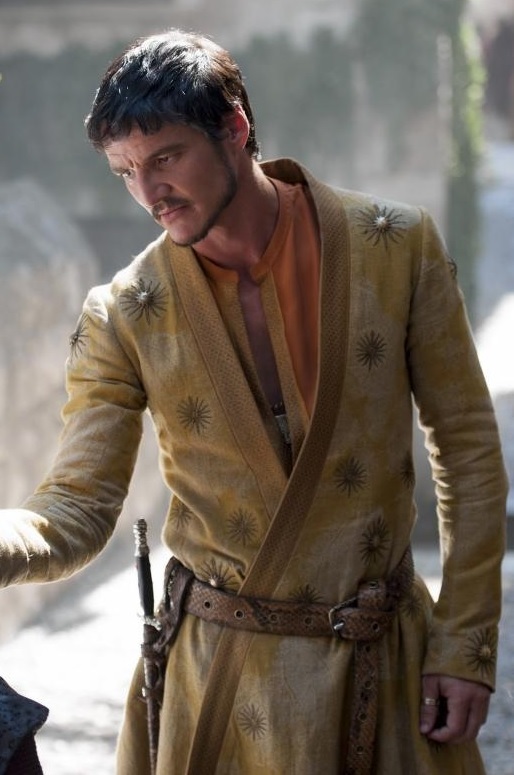 As soon as Oberyn Martell was introduced, Seth's costume might as well have been written in stone. I went to Jo-Ann's last week during a good fabric sale and got lots of supplies. 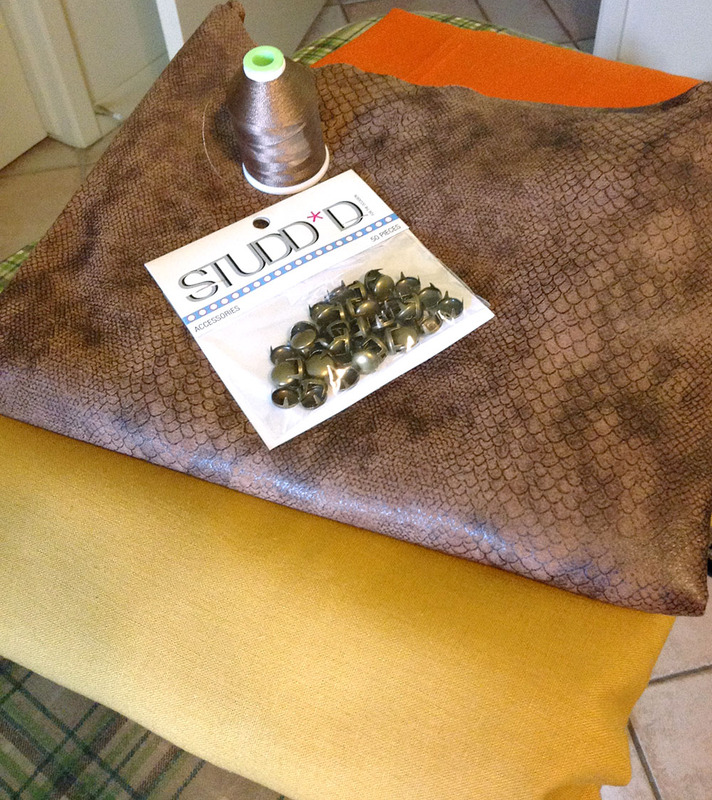 They even had this cool snake-skin material for $3.50/yd! I've started working on drafting the pattern for his robe, and so far it has been rather simple (except for getting Seth to put up with all the fittings). For the suns on his robe, I'm going to try to do the embroidered parts on my sewing machine and use the metal studs for the center.